I have a confession. As much as I love being a historian, I am not a huge fan of spending most of my day sitting at a desk reading. Some days I am pretty sure that I can feel my fat cells multiplying and the muscle cells slowly decaying. Most days I long to literally practice active – blood-flowing – history. About seven ago, I tried to remedy this challenge by becoming involved in archaeology. After a couple of brief glimpses into an archaeologist’s world, I found myself challenged by the practices of the discipline and increasingly by the way in which the programs of which I was a part engaged the public. In my MA I had the opportunity to participate in Saint Mary’s University’s archaeological field school at Grand Pré National Historic Site. The field school introduced me to a new way of understanding the eighteenth century. Not only did it offer an intimate relationship with the period’s material culture and an active way of learning about the past, but the Grand Pré program was also integrated into the park’s public programming. Not only did we dig, but we also engaged the park’s visitors in what we were doing. We explained the process, and told stories about what we found as we showed the artefacts to the public. The field school sparked my interest in archaeology; a few years later I was back at it again, this time as part of the public archaeology program at Fortress Louisbourg National Historic Site. 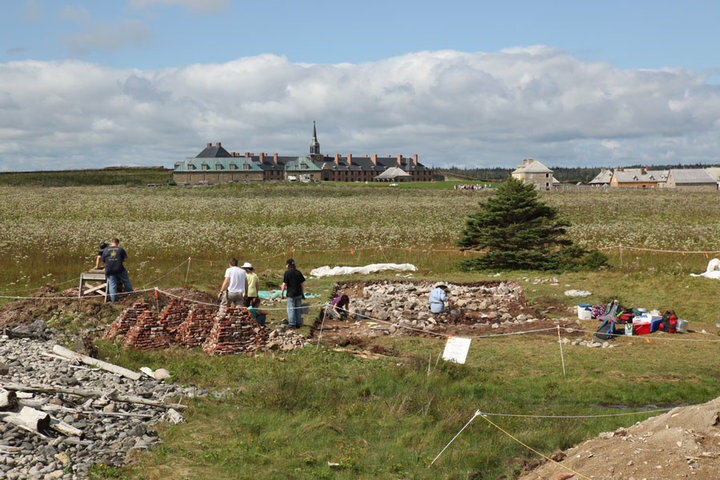 The principal difference between the program at Louisbourg and the one run by St. Mary’s is that instead of anthropology and history student-workers, Louisbourg’s program is focused more on directly engaging the public in the work of archaeologists. 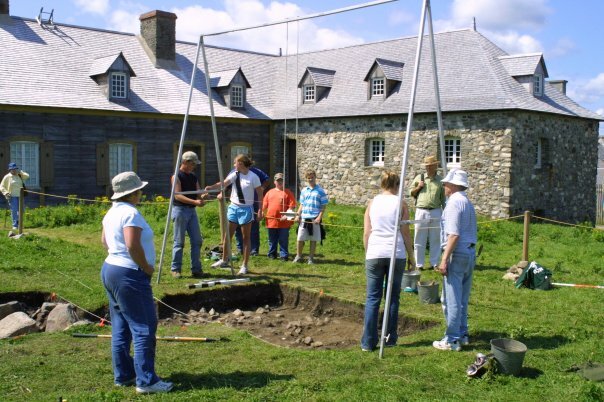 People from a variety of occupational backgrounds, historians and non-historians alike, and from all over North America come to Louisbourg to peel back the earth’s surface and take a peek inside. Like the work at Grand Pré, participants learn, dig and share what they are doing with the public. The way that both of these programs engage with the public was both surprising and challenging. 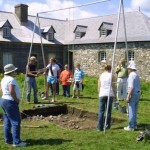 Unlike the practice of public history, where the focus is primarily on disseminating the work of historians through non-academic and more passive mediums (often museums and historical walks), the Grand Pré field school and Louisbourg Public Archaeology Program draw the public into the research process. For the historian, the equivalent of this level of interaction would be extending an invitation to the public into the archives with us. To a certain extent many historians already do this. Oral historians and historians working with specific communities, for example, have long structured their research around collaborative methods which draw interviewees and community members into the research process. Rarely, however, are these community members full partners in the research process, nor is the focus of these projects broadening people’s exposure to the actual work of historians. Similarly, historians who teach often engage students with the practice of history. But even here, the focus is often more on dissemination of historical research than integration of students into the research process. Is there a role for the public in historical research? 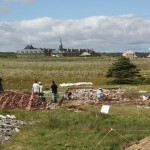 Is it possible to have a public history program similar to Louisbourg’s Public Archaeology Program, where members of the public could work alongside professional historians? There are, of course, some major differences between the work of historians and archaeologists. Archaeologists often work in public spaces where their work can easily be observed; historians usually work in gated archives where even the best known remain obscure to the public. But this difference makes programs similar to archaeological field schools and public archaeology programs all the more important. Imagine a place – outside of the classroom – which offered people the chance to engage with primary and secondary texts, develop their own lines of analysis, and discuss aspects of interpretation with the experts who work behind the scenes in determining the stories that are told in our museums, historic sites, and monographs. Approaching the public in this way reduces the separation between public and academic pursuits of the past. It demystifies the work that historians and archaeologists do, while also engaging non-historians in some of the more challenging and rigorous aspects of studying the past. Most of all it emphasizes the varying role that historians and archaeologists have both as teachers of past events and also as teachers of methodology and best practices. That’s a neat idea Tom – I think people avoid starting projects like this purely because they have a fear of the amount of work involved, or how much longer their research might take if they involve avocationals in it. But if we can train interested folks to screen and shovel, there’s no reason they can’t be trained to read old documents and transcribe. There are so many local history societies out there that we clearly have a glut of history buffs around – a public history project like you mention would just to have wrangle those groups into working on projects of more global interest. Just like archaeology, some people will like doing that, and some won’t. I think the Internet has given us an opportunity to engage the public in historical research… But so far, I haven’t seen much enthusiasm to become involved. 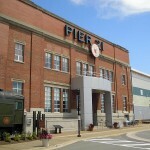 I created and edit two websites I hoped would become collaborative historical databases for images and information on the Cumberland (National) Road (www.CumberlandRoadProject.com) and Western Maryland History (www.WMDHistory.org). The websites have been online for over a year and enjoy good placement in Google Search. In addition to the primary websites, I also created associated discussion forums, a blog and Facebook pages. The result, so far, has been slightly better than a collective yawn. I am dedicated to the projects as they provide a valuable resource for future research. As for success in engaging the public (or fellow historians) in that research… That jury is still out. what a coincidence! 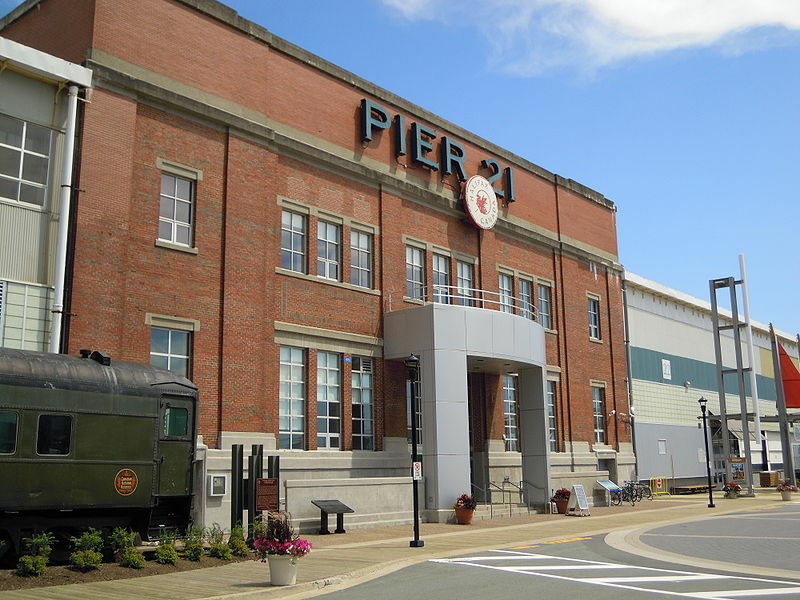 I’m in Halifax and in fact have just returned from Pier 21. The resource room was what impressed me most. I very much appreciate that there are resource people there to guide the visitors through the first steps of research. I think that makes a huge difference to help folks get comfortable and situated so that they can continue their own research. I saw someone pull up a digital image that was part of their family’s history, that they’d never seen before. It was a pretty moving moment for them. History does not have to be exactly about us to be engaging, I have no ancestors, that I know of, who went through Peir 21. Even those of us who did not do research could see what it meant to others. I think the place is a great inspiration. Glad you liked it.